Here at the Smile Zone our doctors and staff strive to foster a friendly, positive, professional, family oriented dental office environment. We are committed to maintaining the highest ethical, moral and professional dental standards possible. We will always treat every patient with respect and in a caring, concerned, and empathetic manner regardless of the situation. Choosing a dentist is an important decision. We'd like to share with you a little bit of information about who we are, and why we know you'll find that choosing us as your primary dental provider will afford you high-quality, state-of-the-art dentistry within a receptive and caring environment. We look forward to shaping a healthy partnership. One thing that we look to achieve with our website is to give our patients an additional extension of our care. When we put together our website, we attempted to provide our patients with information pertaining to general dentistry, dental and tooth care, dental procedures and treatments. We want to do our best to inform our patients as much as we can, so that they can make the best decisions when it comes to their own dental health. Please use our website to learn more about our doctors and staff, office hours, insurance information, how to make an appointment, maps, directions to our office and contact information. 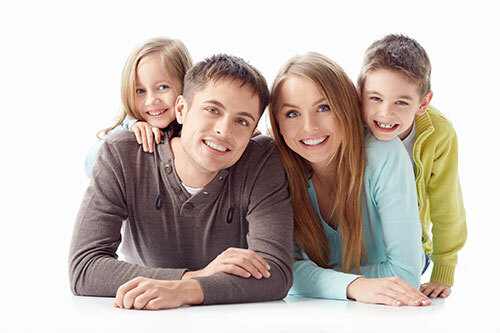 Our licensed dental practice services the Albany, NY area, and we work hand in hand with our patients so that they can have a beautiful smile and we can help them maintain their gums, teeth and overall dental health. We really take the time with our patients to fully explain the treatment options available and inform them of additional preventative care. If you are experiencing a true dental emergency and it is after our normal business hours please call our emergency service line and one of our doctors will contact you shortly. I appreciate Dr. Llera’s professionalism in taking time to explain procedures and advising on after care treatment for crown work. I am glad she is my dentist. The Smile Zone is awesome! If you are looking for a staff that is friendly and compassionate this is the place. Dr. Seaback and Erica are sweet, compassionate and caring. I had been in a very bad accident in 2001 and lost my front teeth. I had not been to a dentist in 15 years. I broke a tooth recently and had to see someone and I found the wonderful people at the Smile Zone. Dr. Schumer, I just wanted to thank you for all of the great care you and all the girls in your office have given me. I so appreciate you seeing me whenever I have a problem. I am so glad that you are my dentist. Thank you for the wonderful care you give me. Had my first cleaning at the smile zone today, and it was a great experience. For someone who had an aversion to the dentist, Heidi and the rest of the staff did a great job taking care of me and my teeth. Thank you and I will recommend any of my friends in the Albany area to go. Thanks Again! Heidi is absolutely thorough and informative. Brilliant! Service is great, the ambience and right with regular checks by doctors on staff progress and needs. I've never felt so comfortable at a dentist's office before! Heidi was incredible - kind and gentle and really fun to talk to. Dr. Schumer was through and extremely helpful. I'm actually looking forward to going back. | Check us out on AngiesList! | View more Testimonials! Your initial scheduled visit to our office will usually be a comprehensive assessment including a dental prophylaxis, x-rays and an examination. Our reception desk will coordinate all subsequent appointments at the most convenient time possible for you. For more information on scheduling appointments, feel free to contact us!